Preparing a blog post for release is actually a fairly straightforward process. The specific steps are well-known and easily executed. You can do it! It's just a matter of understanding what exactly to do, how a few basic elements work together and what best practices to consider before you share your work. How long should it be? Who am I trying to attract as a reader? What behind-the-scenes "settings" should I focus on? Which metrics will I want to measure and analyze? Multiple questions to ponder, but the good news is there are only 17 clear steps to follow on your path to blog success! We've created this thorough Blog Post Checklist so you don't forget any key tasks in publishing an effective blog post every time. The steps involved cover the main categories of content, settings, testing, and measurement to maximize the impact of your message. 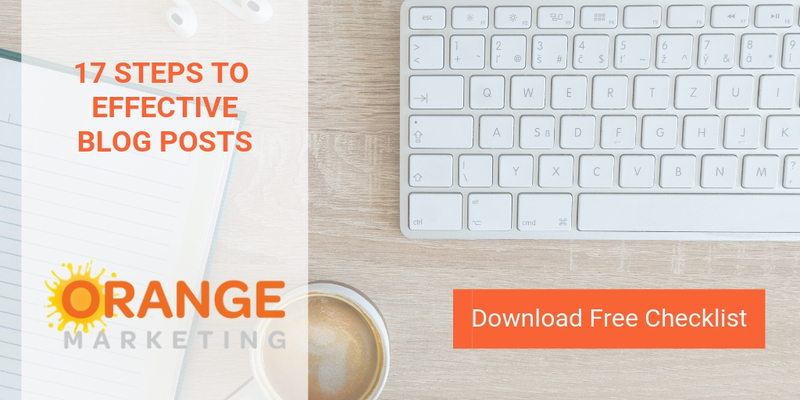 Download our checklist today to begin generating more traffic to, and leads from, your blog posts moving forward in 2019 and beyond!